This statistic shows the value of gift cards received annually among consumers in Canada as of July 2015. 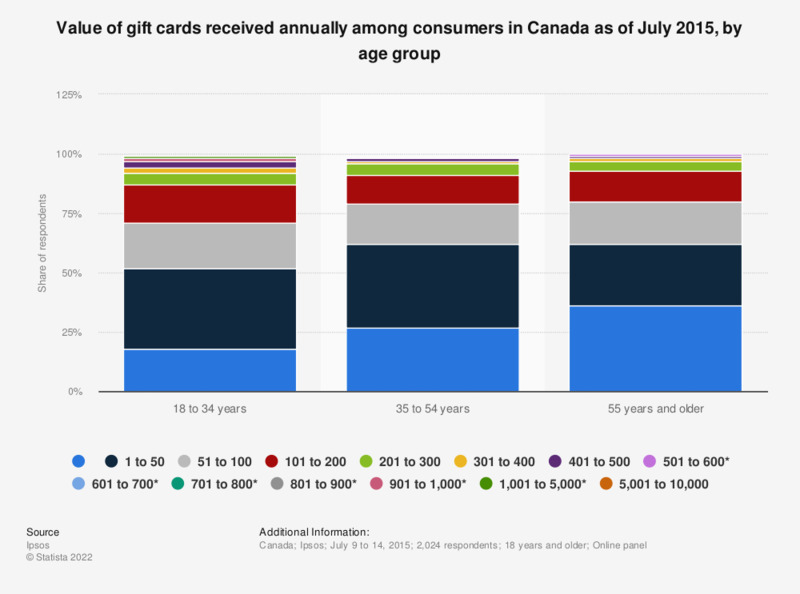 During the survey, four percent of respondents aged 55 years and older said that they received gift cards worth 201 to 300 Canadian dollars annually. * Values of less than one percent were not provided by the source.